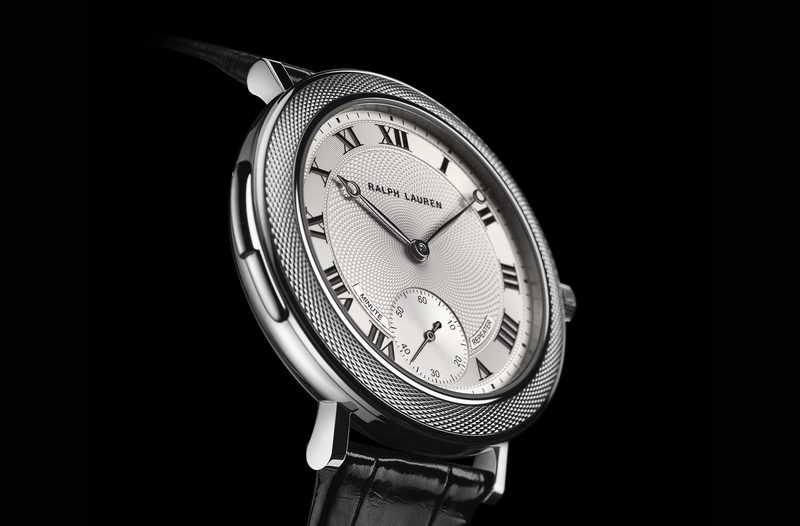 Ralph Lauren Watches has created what they refer to as an “Art Deco” design timepiece which is a one-of-a-kind minute repeater featuring a beautiful hand guillochéd dial and bezel. “Created on an antique rose engine by a master engraver, hand-guilloché designs complement the sophisticated complication with an intricate barleycorn pattern of 80 waves spiraling from the center of the watch and adorning the bezel,” according to the press release. 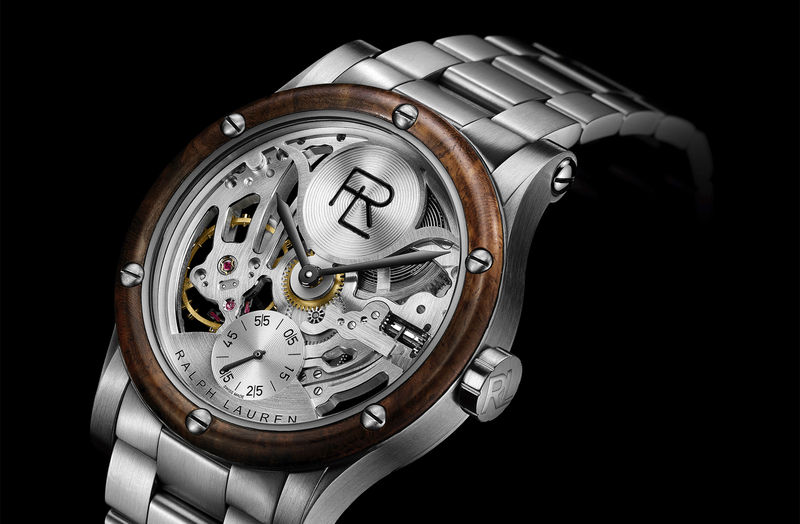 The unique piece is powered by 3Hz hand-wound caliber RL888 which has 300 components, 37 jewels, and a 100-hour power reserve. 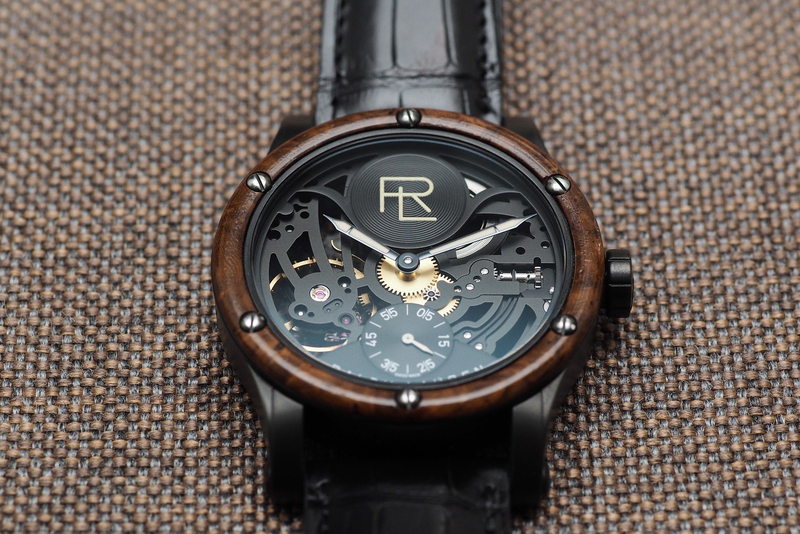 Using a slide piece on the side of the case activates the chiming of hours, quarter-hours, and minutes – on demand. This is an elegant, thin (10.10 mm thick) dress watch, with a silvery opaline dial, black Breguet-style hands, black Roman numeral hour markers (except at 6), that will go well with a tuxedo or suit and tie. 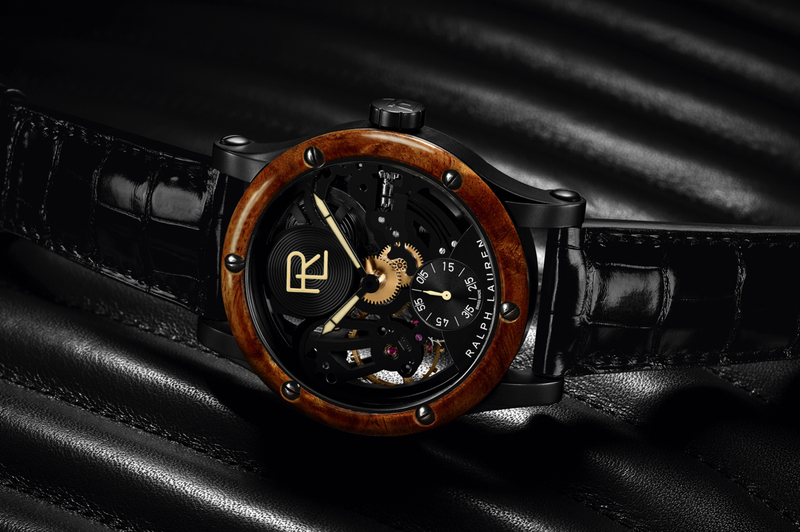 On the back, the aesthetic is equally sophisticated with vertical Côtes de Genève, perlage, and beveled edges. Learn more at Ralph Lauren.